Turn your boring router into a WiFi advertising router with Muft WiFi Management Software! Muft’s WiFi Management software let’s you create your own WiFi ad network. All you need a router (from the list below), configure it with our firmware settings and get access to our online WiFi advertising software. Your customers now get allows you place WiFi advertisements, manage WiFi Zones, authenticate WiFi users and place zone-specific campaigns. Muft WiFi’s advertising and WiFi management software works with most DD-WRTs and Open-WRTs routers. The following is a list of routers that we recommend and our ISPs like working with. PEOPLE LOVE MUFT (FREE) WIFI! How do I convert my boring router into a WiFi advertising router with Muft WiFi Management Software? Simply configure any DD-WRT or Microtik router with Muft WiFi Management Software’s firmware settings. Convert your router into a super WiFi advertising router. 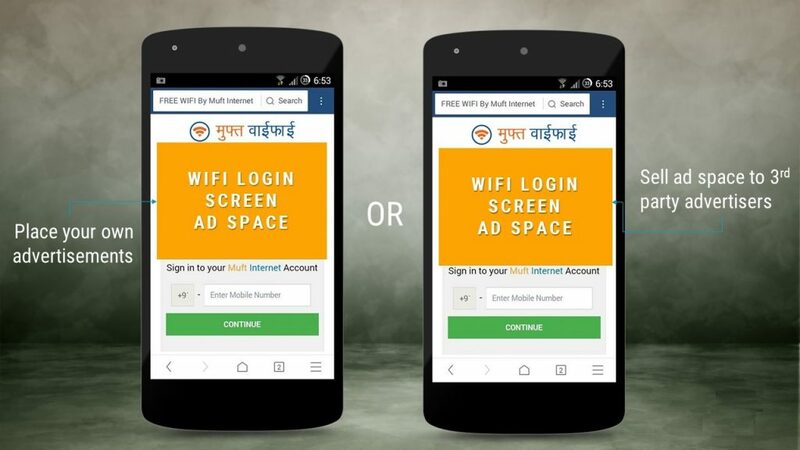 Users will now see WiFi login screen (and your ad) before the log in. Enjoy free WiFi for one session. Repeat after session is over. Starting a Muft WiFi Zone is super simple – all you need is an Internet connection from your local service provider and a Muft WiFi advertising router (or your own router configured with our firmware settings). A Muft WiFi router when connected to any Internet connection produces Muft WiFi’s user authentication process as mentioned above (Connect-WatchAd-GetFreeWiFi-Repeat). These WiFi advertising routers (and software) are used by cafes, gyms, waiting rooms, clinics, salons and so on to power their own advertisements and track users on their WiFi zones. 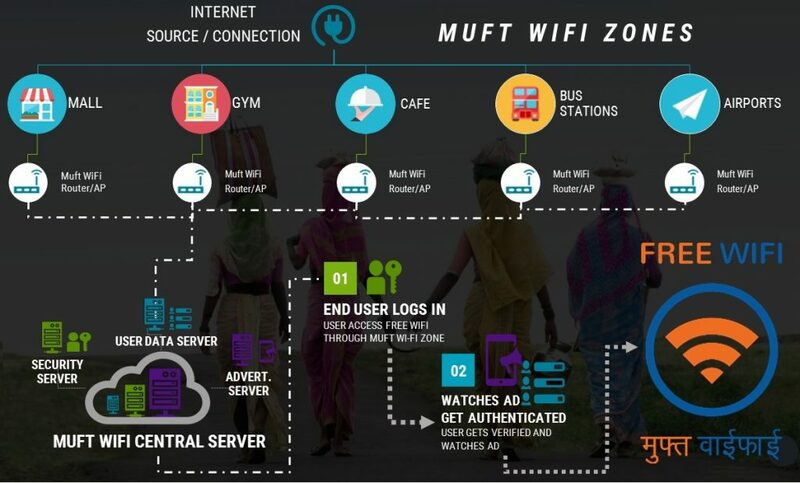 Muft’sWiFi advertising routers are also used by ISPs, agents and ad agencies who want to create their own network of ad-sponsored free WiFi hotspots at different locations including but not restricted to hotels, bus stops, airports and marketplaces. The ad-spaces (on Muft’s WiFi advertising router) are managed with our online WiFi advertising platform. With this online software, you get a detailed (mobile number and access time) log of every user that accesses the WiFi service. Furthermore, you can target your ad campaigns to a specific router. These hyperlocal ads can be your own (native) or can be sold to 3rd party advertisers. Here is a list of routers that work with Muft WiFi Management Software and can be used to convert your boring router into to a WiFi advertising router. : Ideal for public WiFi zones at airports, train stations, market places, tourists spots and so on. Designed for heavy usage. MEDIUM CAPACITY: Ideal for hotels, hostels, large restaurants, coaching classes, bus stops and so on. Designed for mid-heavy usage. LOW CAPACITY: Ideal for cafes, clubs, pubs, bars, restaurants, clinics and so on. Designed for low-mid usage.